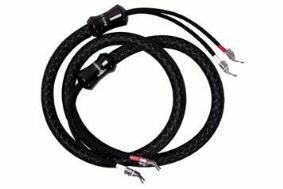 Russ Andrews launches Kimber Select flagship speaker cables, from £3772 | What Hi-Fi? Given that that's the price of a pretty decent car, these cables must be something special. There are three cables in the KS-6000 range: KS-6063, KS-6065 and KS-6068. They build on the existing KS-3000 series, and combine Kimber's VariStrand conductors in a woven, multi-layer matrix geometry, with solid core conductors. The KS-6063 features VariStrand copper and solid core copper with a X38R central core and pigment-free dielectric. All prices quoted as fitted with WBT 0610 banana plugs, with 60-day money-back guarantee. Russ Andrews, managing director, says: "These really are top-flight cables. You can immediately hear all the rhythm and timing that characterises Kimber cables, but there's just so much more of it."